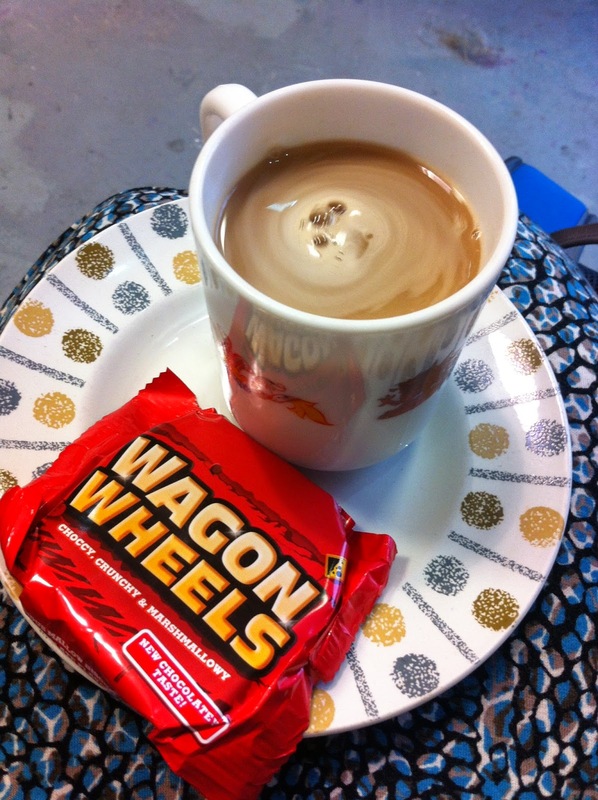 As some of you might have noticed, there's been a bit of a change on my blog recently. I'm trying to blog more regularly (four days a week rather than two or three) and also to stick to certain posts on certain days - fashion on Monday, beauty on Wednesday, lifestyle on Friday and random stuff on Sunday, though there will of course be some flexibility. Do let me know what you think of the changes in the comments, feedback is always much appreciated! 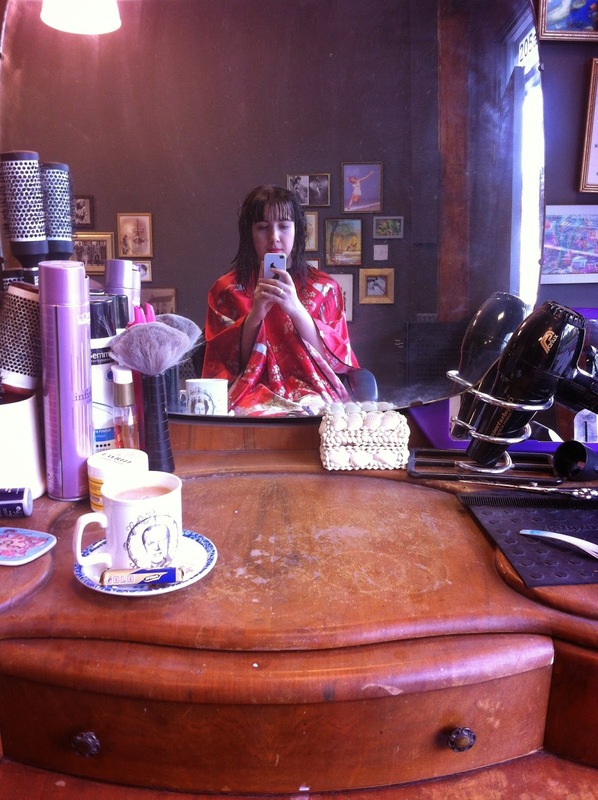 One of the few vintage-inspired things I do do at the moment is get my hair cut at the amazing Rockalily Cuts. I've been going to see Emma there for a few months now and it is utterly fabulous. I really like going to the hairdressers anyway - there's something about it I find very relaxing - but this place is something else. Put it like this, it is the only time I have ever got dressed up for the hairdressers! Emma and I had a really good chat as I hadn't seen her for a while because I'd been putting off getting a haircut due to trying to save money (I know, bad Laura!). 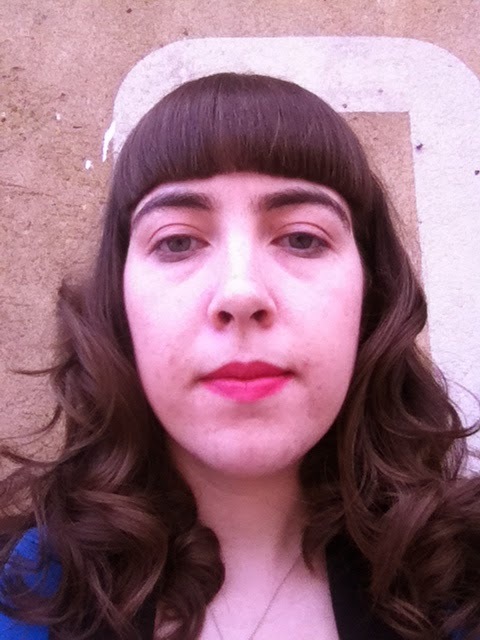 In particular we were discussing the options for what to do with my fringe as it's currently quite full and heavy but I'm not sure that'll work for the hairstyle I want for the wedding so am thinking of growing it longer. I also love that because the salon is so small the stylists all chat to each other all the time, it creates a really fun and relaxed atmosphere and feels a lot less formal than many other hairdressers. Sadly I didn't take as many photos as I wanted to inside, but I think this one sums up the Rockalily vibe - fabulous retro pictures on the wall and Emma's amazing vintage dresser (is it bad to admit I want one for our house?) with all the products and tools on it. And how cool is the amazing kimono-style print robe?! I don't get anything fancy done to my hair - just a trim and taking the weight out of my layers as I'm growing my hair for the wedding - but Emma very kindly curled it for me (though I also loved the super-sleek straight style she gave me when she dried it - with my long fringe it was very 60s model at Woodstock). I'm thinking of doing something similar to this for the wedding as my hair's got a slight natural wave anyway so hopefully should hold the style well. 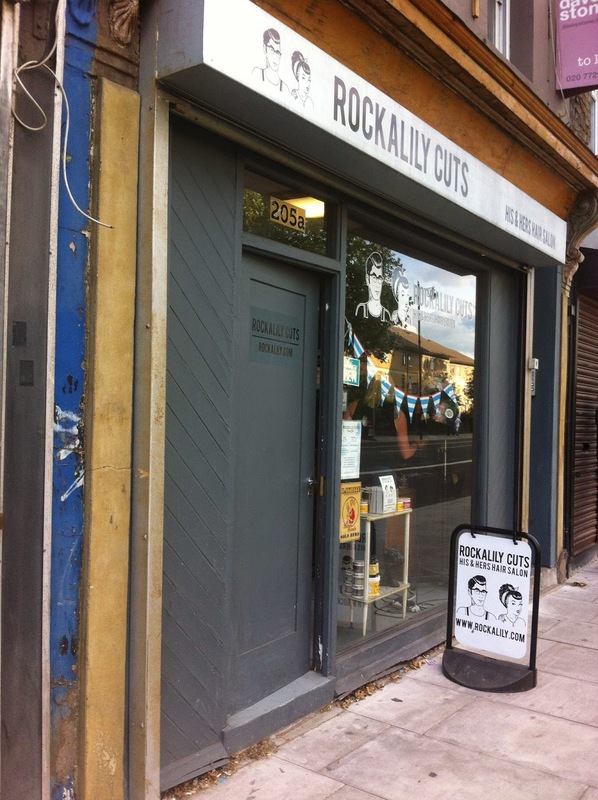 Overall I love Rockalily Cuts - great relaxed vibe, amazing decor and lovely friendly staff who will give you a gorgeous retro look as much as a regular haircut. It is a little more expensive than some other hairdressers at £52 a time but you definitely get what you pay for. Plus they also do a loyalty card where you get 50% off every fifth haircut, so it works out fairly reasonably once you factor that in. If you want to do something a bit different with your hair in an atmosphere that allows you to dip a toe into the vintage look or fully take the plunge then I'd definitely recommend it. They've also just opened a new blow dry bar a few doors down so I'll definitely be popping in there to get my hair done next time I have a big event! I've decided I'd quite like to try stepping into some vintage clothes shops after seeing Dawn O'Porter's "This Old Thing" on Ch4 earlier in the week. It was so good! No problem! You guys are great, it's the least I can do to spread the word :) And thank you for the RT!